Johannes Brahms was born in Hamburg on the 7th May 1833, the son of a jobbing musician and a seamstress. His early musical education came from his father, and from a young age he displayed a considerable talent as a pianist, making his debut at the age of ten. By the age of twelve he had composed his first piano sonata though without much encouragement. His father believed that he had much better prospects as a performer, and his piano teacher was reputed to have stated that "he could be such a good player, but he will not stop his never-ending composing". In the end Brahms enjoyed a successful career as both a composer and a pianist. Schumann wrote of him that "he would give expression to the times in the highest and most ideal manner". Brahms, who was highly self critical, responded by complaining that "your praise will arouse such extraordinary expectations by the public that I don't know how I can begin to fulfil them". Brahms' first attempts to write a symphony date from his early twenties. However twenty one years were to elapse between the earliest sketches and the finished symphony. He wrote several major works for orchestra in the intervening years including his first piano concerto and the German Requiem. 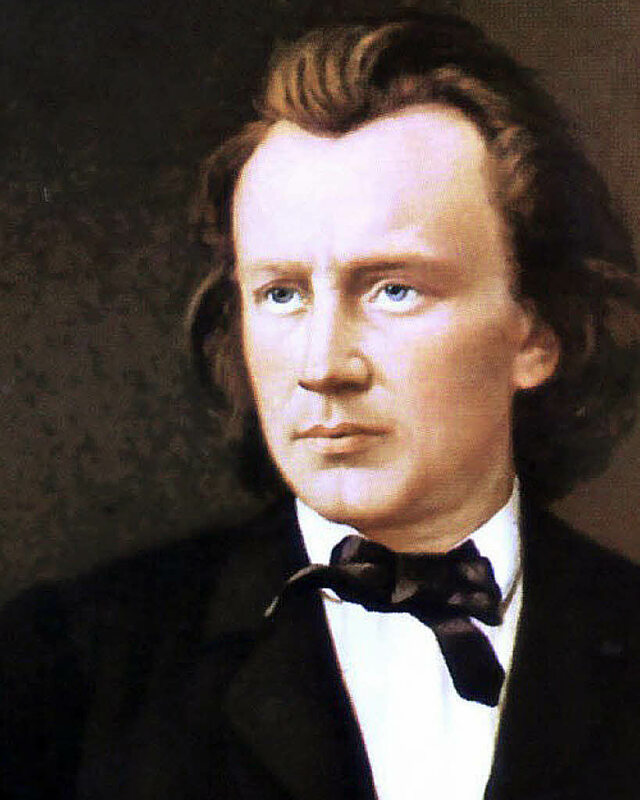 Much is made of the story that Brahms was so in awe of the symphonies of Beethoven that he could not find a new way forward himself, though a more important factor may have been his uncompromising self-critical nature. In the end the symphony, though fundamentally rooted in the German traditions, does not display any strong influence of Beethoven, other than its scale and its use of melodic development. His harmonic language is very original, and his melodic ideas have a unique character. The symphony is in four movements with the first and fourth being the longest and most dramatic. The first opens with a slow introduction, where many of the motivic ideas that will be built into melodies are presented. The allegro that follows is a dramatic searching movement which follows the traditional sonata form, ending with a quiet yet troubled coda. In contrast the two inner movements are shorter, and are both in ternary form. The second is calm and lyrical, containing beautiful melodic material with solo passages for the oboe, horn and violin. The third movement is a gently lyrical allegretto, with a more assertive trio in a remote key. The final movement is, like the first, constructed on a large scale with plenty of drama. However, its mood is ebullient rather than uncertain. Brahms' First Symphony was performed by the Portobello Orchestra on the 24th March 2018, conducted by Sam Jones.